Nove Entertainment, the company behind a world-class rehearsal space and high security storage facility, is partnering with Solotech Nashville to provide clients innovative audiovisual solutions. 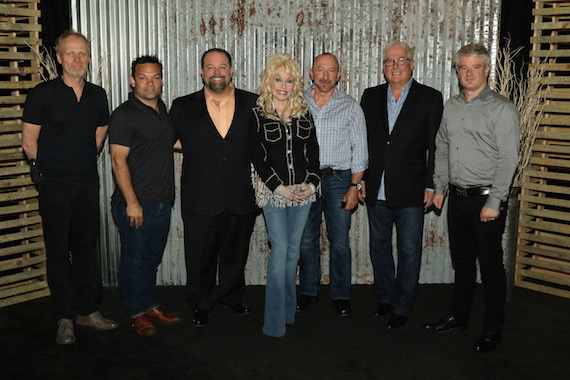 Currently, Solotech Nashville is providing full production services for Dolly Parton’s North American Pure & Simple Tour as well as Tanya Tucker’s nationwide tour and Nove Entertainment’s rehearsal space. Danny Nozell is CEO Nove Entertainment. Lee Moro is Solotech Nashville’s senior project director. Located at 6705 Centennial Boulevard, Nove Entertainment, in partnership with Solotech Nashville, offers a private and full-service facility for artists and bands. The room is 60 feet by 60 feet with a clearance height of 20 feet. Two docks are included for load-in, with power specifications consisting of 100 amp 3 Phase w/ camlocks or 30 amp Edison breakouts with no hookup. PA, monitor, and console systems are available upon request. Clients will have access to production office space, a private bathroom, Internet access, and shore power for two busses / truck parking provided as well. Liz Rogers, Founder/Creative Director, Anacrusis; Daniel Novick, Savur Threadgold LLP. 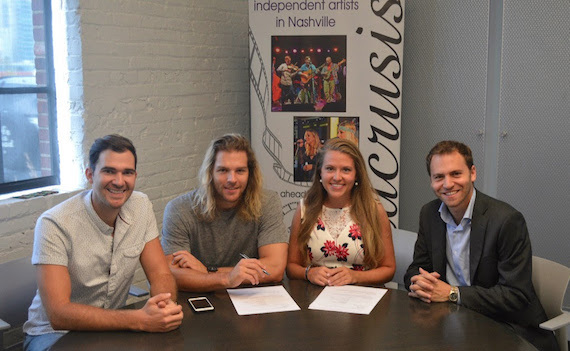 Nashville-based licensing, artist development and publishing company Anacrusis has signed an exclusive worldwide publishing agreement with producer, songwriter, and artist Drew Southwell. Southwell built his career writing and performing with Australian pop band Drawing North, currently signed to Universal Music Group, and in 2015 began coming to Nashville regularly to further his writing career. Southwell’s work as a writer-producer has been featured on the NRL Footy Show, and he has written songs for CAPPA and Megan Davies, among others. Southwell is managed by Jason Frizzell who is known for his work with Chancellor Warhol and CAPPA. Frizzell also manages Drawing North. 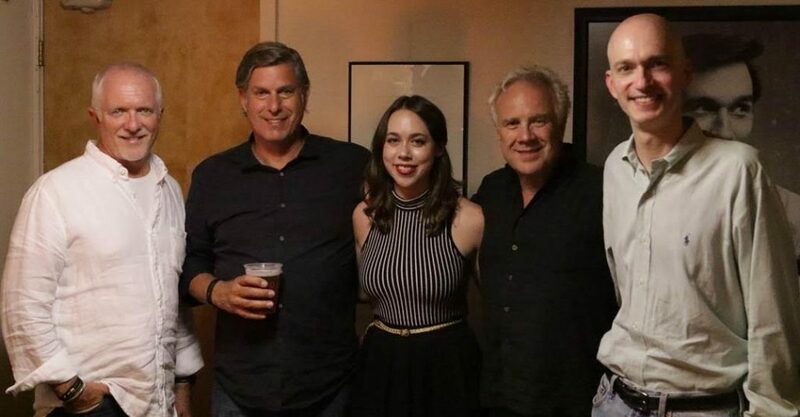 Pictured (L-R): Cliff O’Sullivan, COO Rounder Label Group; Scott Pascucci, Executive, Concord Bicycle Music; Sarah Jarosz; Gary Paczosa, A&R Rounder, Label Group; John Virant, GM Rounder Label Group. Sugar Hill Records’ Sarah Jarosz celebrated the release of her new album Undercurrent with a sold-out show on Thursday, July 21 at Nashville’s Station Inn. Undercurrent is her fourth album for the label. It’s also her first release since graduating with honors from the New England Conservatory of Music, and her first since relocating to New York City.